It’s very important to choose a dentist who will perform an exam and clean with proper diligence and who has the knowledge to accurately diagnose any problems. Only then will you achieve the protection you are expecting from regular dental check-ups. In addition to experience a dental practice needs up to date equipment to aid accurate diagnosis. An item of equipment that Dr Jacobs uses in every exam and clean appointment is magnification loupes. The loupes are also fitted with an LED headlamp for a superior field of vision compared with overhead dental lights. When it’s time for x -rays Hope Island Dental Care has digital x-rays and a contemporary processor to produce a high quality image. 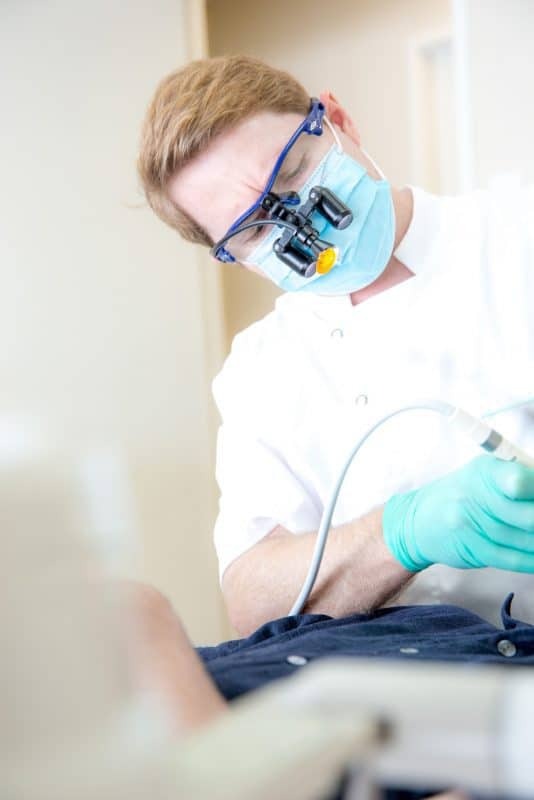 During your exam and clean our Intra oral camera enables you to view images of your teeth on an LCD monitor, which is a great way for you to understand any diagnosis or treatment plans we are explaining. Hope Island Dental Care uses air flow cleaning technology, this demonstrates our commitment to providing the latest and best preventative care. Our exam and clean appointments utilise a revolutionary way to remove stains, polish and clean your teeth. So what exactly is air flow cleaning? 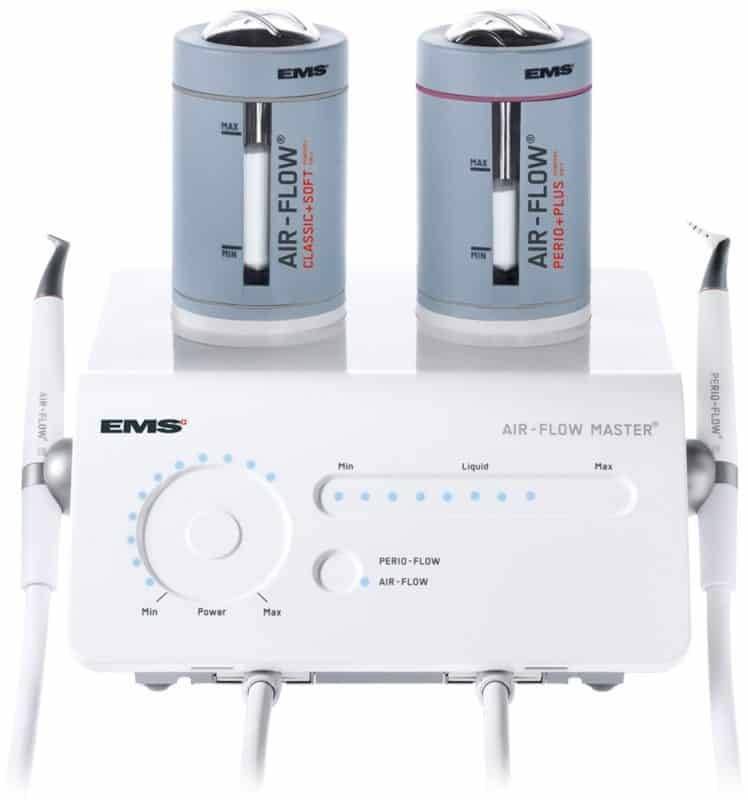 The air flow system uses a mixture of air, jet water and powder to more quickly, gently and effectively clean teeth than ever before. The conventional process for having the dentist clean your teeth has been called a Scale, Clean and Polish. This meant using sharp stainless steel instruments or an ultrasonic scaler to scrape away hardened plaque and tartar from your teeth, then to continue scraping on the surface of the teeth to remove tough stains. Finally for the polish step an abrasive polishing paste placed into a small spinning motorized cup was used to further remove stain. Unfortunately these activities could be uncomfortable and in the case of the polishing stage even remove some enamel from the teeth. Scalers are also limited in the access they achieve between teeth. If you’d like to take the first step toward a fresh, healthy smile call Hope Island Dental Care today to find out more about air flow cleaning and our comprehensive exam and clean. When a tooth becomes decayed the damaged structure has to be removed and filled with a new material to prevent further enamel decay and an infection ultimately spreading into the roots of your tooth. At Hope Island Dental Care white fillings are used exclusively because they look entirely natural, and are aesthetically pleasing. Find out more about Tooth Coloured Fillings.